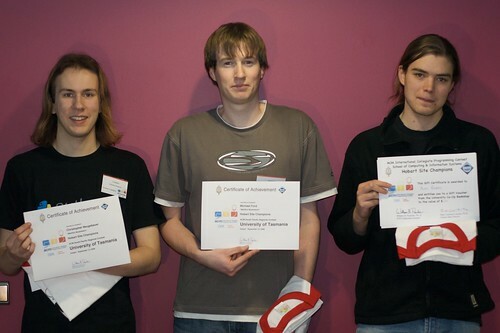 The 2008 ACM South Pacific Programming Contest Results have been confirmed: my team’s come 3rd overall (as expected). We find out whether or not we’ve achieved a wild card position in the World Finals in December. Me: Paris, help me come up with a witty slogan for the TUCS T-Shirt. As proud denizens of the Maclab, my ACM ICPC team for this year decided to adopt the word as part of our team name.